What Are the Different Types of Precision Cleaning Services? With more than a half-century of experience in the precision cleaning industry, NTS has become the preferred precision cleaning supplier. 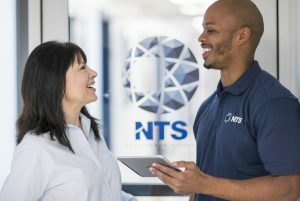 Many of our nation’s premier aerospace and defense contractors, National Security and Homeland Defense Programs rely on NTS. The quality of our precision cleaning processes not only affects the operation of precision instrumentation and closely tolerated devices, but it also has a bearing on the lives of the service members and civilians who depend on them. We take this task seriously, as there may not be a second chance to get it right. NTS works closely with our customers to ensure that we develop and implement the correct cleaning process required to meet the level of process control and system cleanliness for mission success. NTS continually invests resources into developing new processes and methods to meet the evolving demands of the commercial space industry. We find new ways to control costs, while delivering components and products on time that meet strict quality requirements. NTS also provides specialized packaging of cleaned and tested hardware. To ensure environmental controls during the cleaning process, NTS has ISO 14644-1 & -2 Class 7 and Class 5 Cleanrooms and FED-STD-209 Class 10,000 and Class 100 Cleanrooms. Regardless of the industry, all companies want to run a safe operation and minimize production downtime. Even the microscopic contamination of manufacturing equipment and parts — dirt, scale, corrosion, debris and abrasive contaminants left behind on components — can affect its performance. Equipment and parts become unreliable, prone to premature wear and breakdown. This stifles an organization’s productivity and efficiency. Consequently, precision cleaning constitutes a critical function when it comes to receiving optimal value from production and maintenance processes. It is one of the most critical, time-consuming, costly and risky tasks for any organization. NTS offers precision cleaning services for parts, assemblies, pressure vessels, piping, heat exchangers and a variety of other hardware. Whether you need to clean large structures, tubes, pipes or other components, the proper cleaning system and expertise will determine your success. Depending on the industry, each component is different and requires specific cleaning techniques, testing and cleanliness verification. What Are Other Methods of Precision Cleaning? Companies need to determine the appropriate cleaning solution based on a variety of factors, such as type of work piece, part geometry, type/degree of contamination, processing state and the degree of cleanliness the customer requires. Aqueous Cleaning — This method is for parts that need a long soak. It uses water processed with deionization or reverse osmosis and combined with detergents and surfactants. The process is effective for a variety of soils, is compatible with most materials and has a wide variety of chemical options. The environmentally friendly nature of aqueous cleaning offers an attractive solution for achieving the desired level of cleanliness. Immersion Cleaning — For parts with complex geometry, such as undercuts and blind holes, bathing the parts in solvent works. After immersion of the component in the solvent, the chemical effects of the solvent remove the contaminants. Some applications use both immersion and other procedures such as ultrasound. Ultrasonic Cleaning — Many precision cleaning processes use ultrasonic cleaning in combination with aqueous, semi-aqueous and solvent-based cleaning systems and detergents. The technique, which works particularly well for complex parts, employs special frequencies or sound waves to remove particles and soil from a surface. Ultrasonic cleaning achieves decontamination at nearly microscopic levels, because the ultrasonic agitation uses high-frequency sound that creates small bubbles in the cleaning liquid, which implode and release significant energy. As a rule, the higher frequencies can remove finer particles. On the other hand, a frequency that is too low could shatter delicate materials or cause undetectable micro-cracks to occur. Ultrasonic cleaning offers an effective method for cleaning threads, rough surfaces, blind and drilled holes, sharp inside corners and similar cavities that other types of industrial cleaning methods cannot reach. High-pressure Spray Cleaning — Typically used in combination with detergents or surfactants, high-pressure spray cleaning utilizes the kinetic energy of a water jet to blast the particles and soils off a surface. The chemical effect of the cleaning medium partially removes or emulsifies the soiling, and the high-kinetic energy of the jet sprays the remaining soiling from the part. The quality of the cleaning depends on the shape and configuration of the nozzles and the spray force. The pressure used for the cleaning depends on a variety of factors such as the material and type of contaminant. Wipe Cleaning — This method works for delicate surfaces that cannot withstand the aggressive cleaning solutions. Typically, it uses special swabs or lint- and particle-free wipes dipped in solvent or deionized water. Injection Flood — With this method, the operator floods the piece with the cleaning liquid as the part rotates. A jet generates currents and turbulent velocity through tubes, pipes, blind holes, cavities and recesses. The fluid flushes the contaminants out of the hardware or part. This method offers flexibility and does not require any adjustment to target each part. This technique removes particles and produces an excellent level of cleanliness for components of all sizes and various shapes. Vacuum Bakeout — This procedure uses a vacuum baking process to remove contamination of sensitive hardware, especially in the pores. It reduces the outgassing rates of aerospace instrumentation, which can be sensitive to molecular contamination, to acceptable levels. CO2 Cleaning — This cleaning process is commonly used for precision cleaning and surface preparation for high-tech components, optical devices, sensors cutting tools and aerospace parts. Some precision cleaning services use two or more cleaning methods to attain the level of cleanliness required for compliance or to meet the clients’ specifications. NTS performs the following services for the cleaning of in-process parts and finished products. Descaling and Acid Cleaning of Iron and Carbon Steels — Whether it’s for the initial use or restoration of a component’s original surface condition, NTS has decades of experience developing processes and growing its expertise in the use of acids. We specialize in descaling, rust removal or the removal of embedded iron and undesirable oxides from metal surfaces. Depending on the amount and type of scale present, other contaminants and your project requirements, NTS uses formulated solutions of acid cleaners. These solutions remove oxide, oil, grease, and other contaminants to clean iron and steel. When necessary, we combine acid solutions with a wetting agent and detergent. We also use other techniques, such as immersion, spray, paste, flushing and passivation to achieve the precision cleaning results that meet our clients’ expectations. Hardware Assembly and Cleanroom Rental — The cost of building and maintaining a clean room can be cost prohibitive for many organizations. NTS offers our Class 10,000 Cleanroom or Class 100 Flow Benches in half-day or full-day rentals at reasonable rates that include up to four NTS technicians. Our qualified and experienced technicians can build assemblies or assemble detailed components. We also provide services for functionality testing after the cleanliness verification. Commercial Oxygen Cleaning — Some customers may request oxygen cleaning of hardware commonly used for O2 service. Any system exposure to oxygen or oxygen-enriched service will require scrupulous cleaning to rid the surface contaminants, such as oils, greases and particles. Although the customer does not specify a certain cleanliness protocol, they typically want a commercial clean for oxygen service. When selecting a cleaning procedure, NTS uses three commercial specifications for guidance in selecting the process and acceptance criteria for oxygen clean: ASTM G 93-96, Compressed Gas Association (CGA) Pamphlet G-4.1 and CGA Pamphlet G-4.8. Hydraulic Cleaning and Test — NTS provides the expertise necessary for the cleaning and testing of hydraulic components and assemblies, including regulators, valves, pistons, accumulators, transducers, actuators, tubing and piping, controls and distribution manifolds, and servos and storage tanks. In our Class 10,000 cleanroom, we use aqueous detergents, a multitude of compatible solvents or system hydraulic test fluids, proof pressure and leak testing of components or assemblies to 50,000 psi (D.I. water or hydraulic fluid) and 20,000 psi (GN2). Work with NTS to perform your hydraulic cleaning and analysis in our clean room to eliminate any concerns about the environmental or safety issues from on-site processing. Overhaul and Repair Services — As a full-service provider, you can count on NTS whenever you need additional technical support. We can overhaul and repair parts and assemblies before precision cleaning. We also can clean detailed components and assemble them in our Class 10,000 cleanroom. NTS will repair, overhaul, test and precision clean your regulators, pumps, valves, filter units, gauges, control/purge panels or other equipment, returning them to you ready to use. You can rent or lease our clean environment where you can rebuild and pressure and/or leak test to your requirements, if you prefer to perform the work. Ultrasonic Cleaning — For more than 25 years, NTS has utilized a variety of ultrasonic cleaning systems. Our ultrasonic tanks range in size from 12 inches square and 8 inches deep to 48 inches square and 48 inches deep. NTS technicians consider factors, such as part size, configuration and material type, to determine the appropriate tank size, transducer power output, frequency and cleaning solution to target specific contaminants and customize the cleaning process. Depending on how clean you want the part, NTS has the experience and expertise you can rely on. Total Hydrocarbon Analysis — This method measures the total amount of volatile and non-volatile residue present in the effluent solvent sample to determine its cleanliness. Our technicians typically employ Fourier Transform Infrared Analysis (FTIR) and Infrared Analysis (IR) to determine both the total amount of volatile and non-volatile residue left on the clean part. When you must know the total amount of residue that may remain on the part after cleaning, the Total hydrocarbon analysis is the preferred technique. Gas Sampling — Often, the technician cannot introduce a liquid into a clean system to determine the amount of loose particulate that remain. With the gas sampling technique, the technician feeds a known certified gas into a piping or tubing system at a specified pressure and flow-rate. The purged particulates collect in a Millipore filter holder or gas bomb, which the technician can analyze for the particle count. Verification of Dryness — Solvent residue or latent moisture can corrode the cleaned part in service or storage. NTS uses a number of drying methods and follows up with dew point verification to determine that residual moisture is at an acceptable level. Gas detection verification ensures that hydrocarbon or halogen residues meet the desired criteria. Sealing and Packaging for Protection — NTS takes seal integrity and packaging performance seriously to keep out contaminants and moisture. The final step of the cleaning process requires primary and secondary barriers. Some components may even necessitate a third level of protection. We use a variety of packaging materials, including as nylon, Aclar and polyethylene films, which have a cleanliness level that is the same or better than the actual parts they protect. NTS can also accommodate customers who have specifications for extra protection. This requires additional steps in the sealing and packaging process, such as vacuum packaging, purging the parts and the interior of the barriers with certified clean and dry nitrogen, or adding desiccants and moisture indicators to the final package. All parts must undergo a visual inspection prior to the final cleaning. To verify the final cleanliness of components, most NTS clients request us to perform quantitative analysis techniques. We typically use particle count analysis and non-volatile residue analysis to ascertain how clean the parts are. Particle Count Analysis — We perform this process in our cleanroom. Our technician extracts and collects a predetermined volume, such as water or solvent, based on the amount of the wetted surface area of the cleaned part. We utilize several industry and military standards and specifications written specifically to address the sampling and collection protocols methods. These include the sampling and collection methods, the amount of fluid to be collected, and the quantitative acceptance criteria for a given cleanliness level. Non-Volatile Residue (NVR) Analysis — The NVR analysis, which is typically the last step in the cleaning process, determines the quantitative amount of non-volatile residue or film that remains on the part after cleaning. To ensure we measure only the residue or film, the technician usually employs the gravimetric technique, which filters particles from the sample prior to the effluent sample testing. Most precision cleaning processes use the NVR analysis of solvents to determine the compatibility of clean parts with liquid or gaseous systems and other service media sensitive to organic film residues. 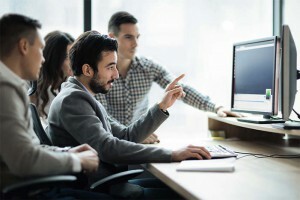 For companies looking to cut costs and improve efficiency, restructuring the precision cleaning function may offer the best opportunity to achieve these objectives. In recent years, more companies have turned to external precision cleaning services for equipment and parts cleaning such as NTS. NTS has the capability to perform precision cleaning, hydraulic testing and other analysis in our clean rooms. NTS has a broad range of precision cleaning systems to meet almost any need. Contact NTS for a free quote.